Today I received a Casio fx-991 EX Classwiz which I purchased last week. Here is a short video of both an unboxing and a demo. I plan to a more detailed review pretty soon. Time to revisit the Casio fx-3650p. Since the last time I did this, Casio released an updated fx-3650p. I still have the older version. And still, the fx-3650p is not sold in the United States (sigh). 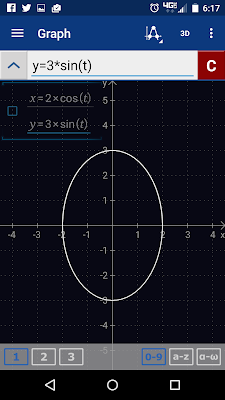 Ellipse with semi-axis lengths A and B, assuming that A ≤ B. End of month payments are assumed. No balloon amounts are assumed. The program is set up to mimic behavior on most financial calculators (negative for outflows, positive for inflows). "Speed of Sound" NASA. Glenn Research Center. "The Individual and Universe Gas Constant". The Engineering Toolbox. * Regular Calculator for $4.99. 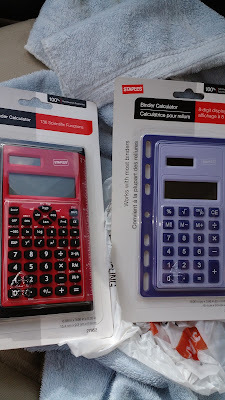 The regular calculator comes in different colors and is sold online. 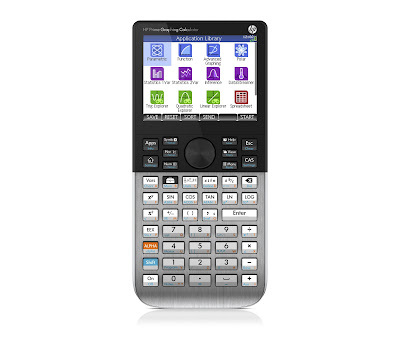 * Scientific Calculator for $7.99. Model 27952. 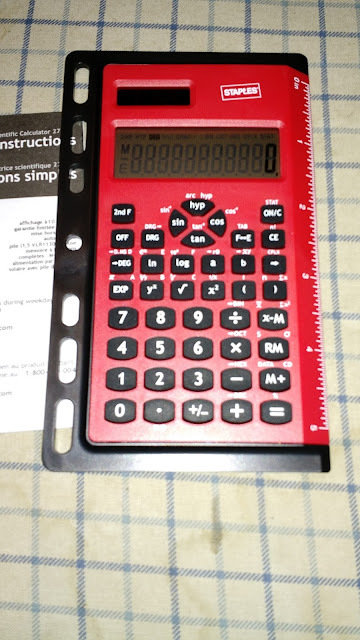 I have yet to find this calculator sold online. 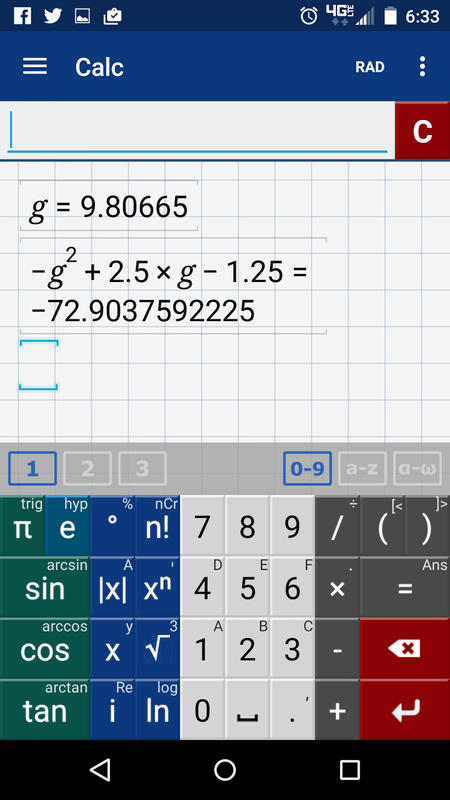 This review will focus on the scientific calculator. * Holes that will fit the calculator in a binder. And yes, I'm happy to report that the calculator still works after being in the binder. * One line scientific calculator. One -argument functions (trigonometric, logarithmic, exponential, square root, cube root) are executed after the number has been entered. For example: calculate the log 1.23, press: 1.23, [log]. * The two keys,[ a ] and [ b ] serve two purposes: polar/rectangular conversions and entering complex numbers (a + bi). * The TAB function, normally called FIX, sets the number of decimals to be displayed (0-9), with the decimal point representing floating mode. I would include statistics but unfortunately, when I tried to activities statistics mode, the calculator just clears itself. The keyboard is very interesting but it looks like a standard 2-line scientific calculator. 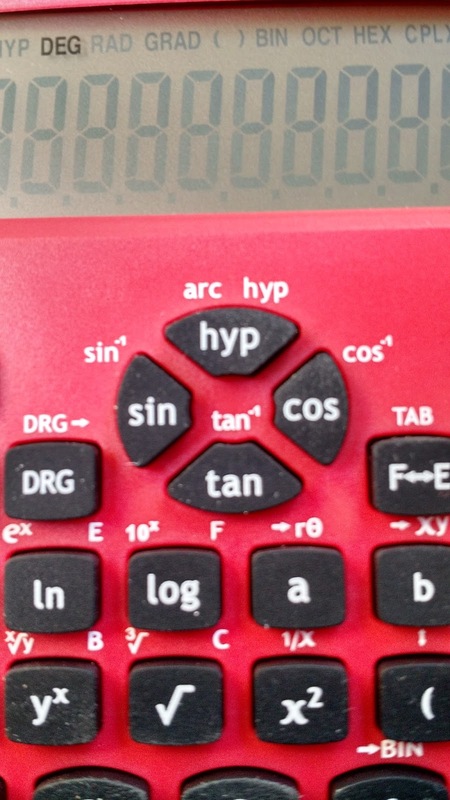 However, what would normally be the arrow keys are all the trigonometric keys and the hyperbolic function. I thought it was a nice touch deviating from the norm. However, the some of the keys require more pressure for the key to activate. I found this to be for the [ - ] key, as well as the [ a ], [ b ], and [2ndF] keys. You really can't type on the keyboard quickly. On page 9 for the memory example, [CE] should replace [ON/C]. [ON/C] clears the memory and resets into Decimal/Floating Mode. [CE] just clears the entry. 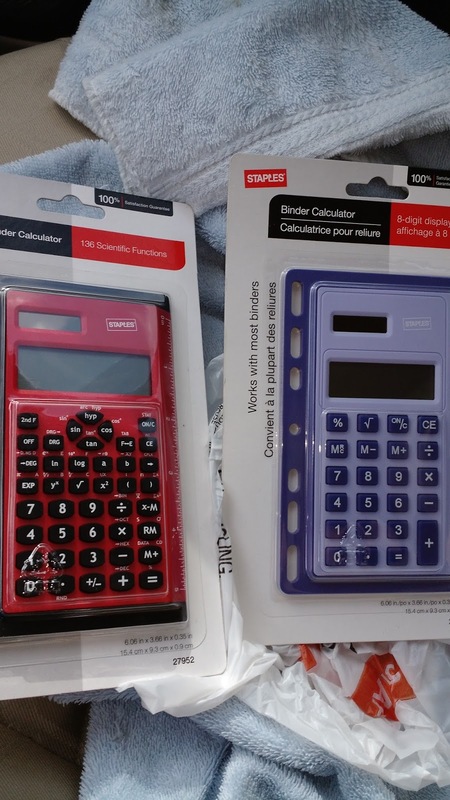 If you buy this calculator (Staples 27952), the best features are that this calculator can be carried in a binder and the ruler/straight edge comes in handy. 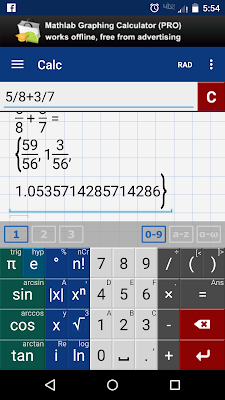 Overall, the keyboard is so-so and the [2ndf] [ON/C] not turning the statistics mode makes the calculator feel incomplete. I will still keep it in the collection, if only for the novelty. 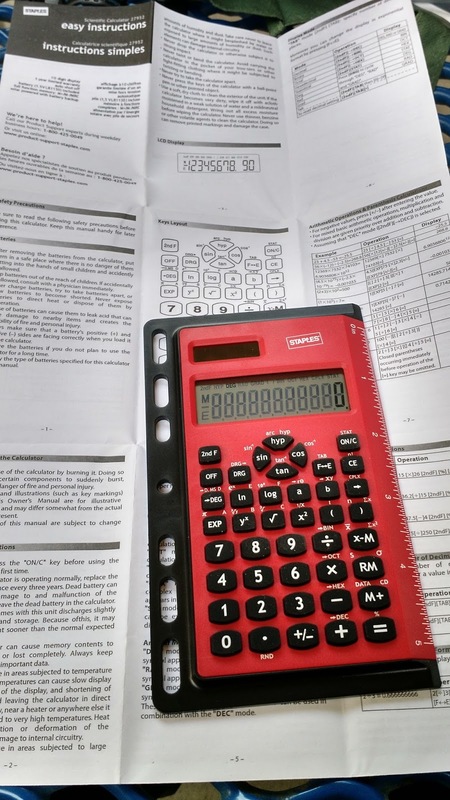 I have no opinion on the regular, non-scientific calculator, but I'm sure it would score better than this scientific model. My review will focus on the Free Version. Note: any apps that appear on the screenshots are coincidental, and not an endorsement of the companies supplying the ads. 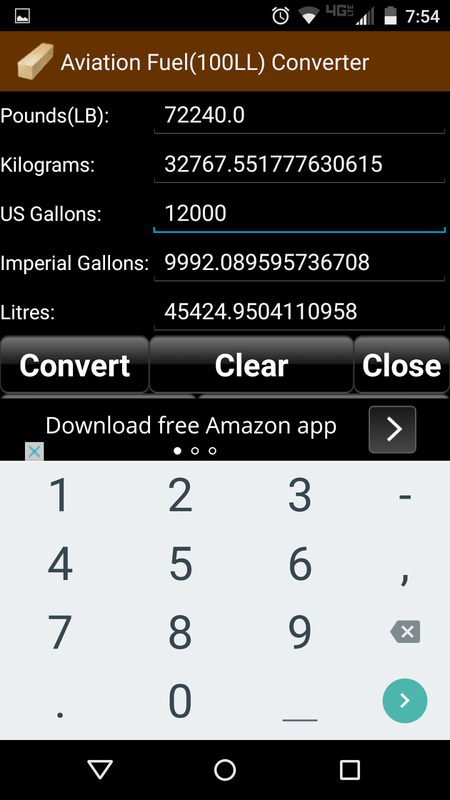 The Handyman app is a list of solvers and conversion calculators for the fields of construction, electronics, carpentering, and machinery. It does not skimp on what is available either, we can practically find a tool for whatever is needed. All the solvers and conversion calculators pretty much work the same way: enter the data you have on the blank lines, then scroll the worksheet down and press the (Convert) or (Solve) key and the rest is done. It is very easy to operate. 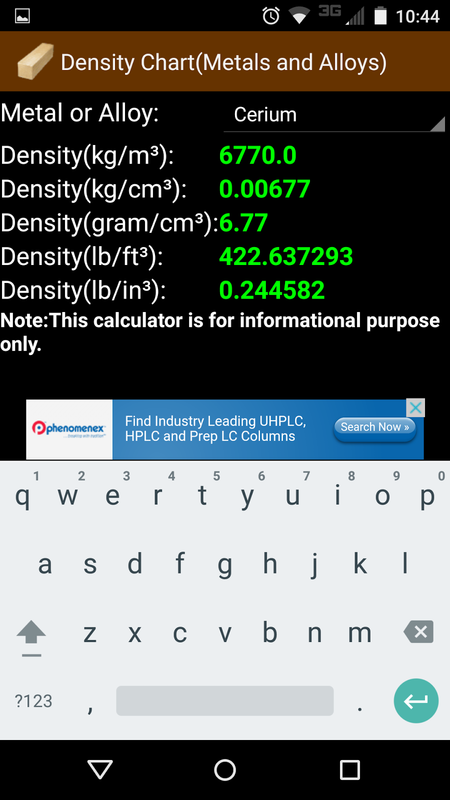 If you are working in U.S. or metric units, Handyman has got you covered! Again, this is only a small sample. You can change the font type, color, and size. Press the triple vertical dots from the main menu and select Preferences. Changes will take effect the next time you run Handyman. * Metal Detector. Use the phone to point to where metal may be detected. The magnetic field is calculated (in micro telsas). Hunting for gold anyone? 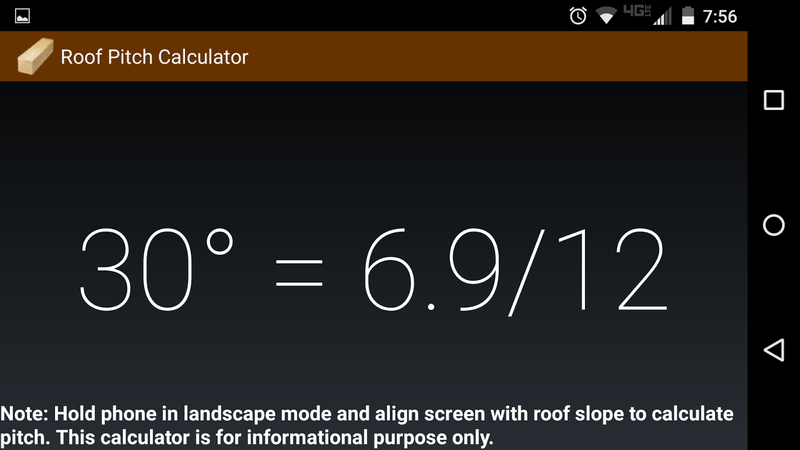 * Roof Pitch Calculator, probably my favorite feature of the App. 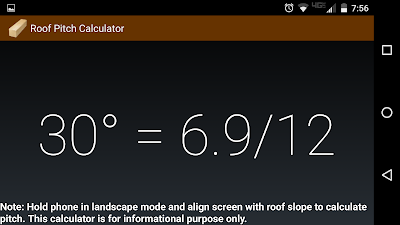 Tilt the phone to landscape position and lay it like the angle of the roof (or whatever you are trying to measure). The angle, in 1 degree increments, is calculated. (between 0 and 90 degrees). The app is sensitive so holding the phone is key. This app is wonderful if you work in the construction, electronics, or home improvement. Really, for anyone. If you don't work in those fields, it is nice to have an app that you can refer to whenever the occasional home improvement questions come up. If you can stand apps, the Free version is great. Either way, free or paid, this app is worth the download. I am working on making a new App for the HP Prime. 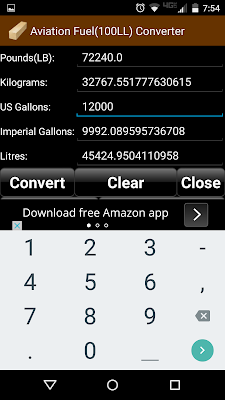 My plan is for the app is to have a collection of special functions (such as super factorial, Bessel function of the 1st kind) and application calculations (such as Dew Point, Millman Theorem). 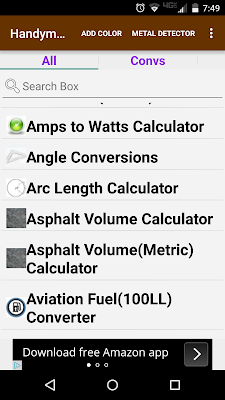 The reason why I am optioning for an is that the functions can be accessed through the Toolbox-App menu. It is still in its infant stage right now. I also want to do a geometry tutorial series, my first choice is for the HP Prime's Geometry App but I am open to doing a short series for the TI 84's Cabri Jr. instead. The HHC 2015 took place in Nashville a couple of weeks ago (September 26 and 27, 2015). I was not able to go this year (my father passed away). Here are some videos that hpcalc.org posted on YouTube. I thank both hpcalc.org and the HPMOC. I always have a great time at these conference and really hope to go next year’s conference. Links to individual talks are listed below, but you can access the channel hpcalc.org on YouTube to get access to all of them as well. * For some reason apps through Google Play, sales tax is charged for downloaded apps. My focus will be on the paid version. 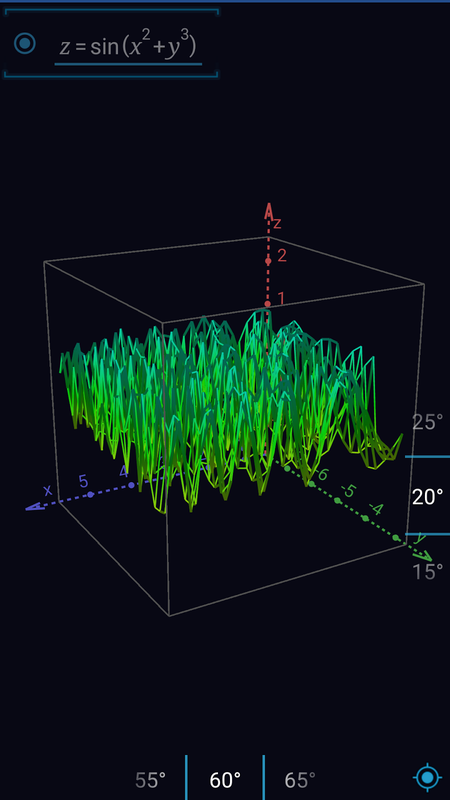 The free version does not have 3D Graphing, the ability to store constants, functions, or expressions. 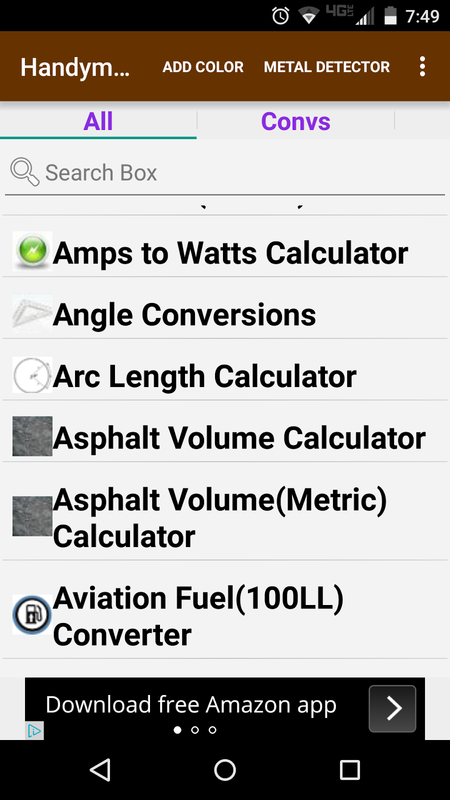 The calculator app has three main modes: Calc, Graph, and Table. Holding the n! key grants access to n!, nCr, and nPr. Holding the x^n key grants access to x^n, x’, x” (for derivative calculations). Yes, Mathlab does the symbolic first and second derivative of f(x). You can combine x’ and x’’ for third and higher derivatives. With the degree key (°), x’ and x’’ can be used to execute calculations using degrees-minutes-seconds. Holding the √ key grants access to square roots, cube roots, and quartic roots. 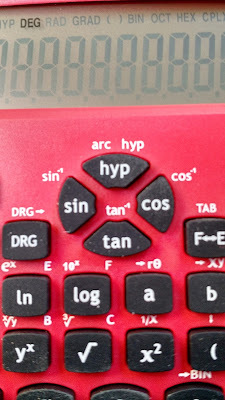 To switch between trigonometric and hyperbolic functions, press and hold the π and e keys, respectively. And yes, you get access to the csc, sec, and cot (and all the relative functions) on both modes. The angle modes available are Degree and Radian. When you enter fractions, Mathlab displays answers in both fraction (mixed and improper, if necessary) AND the decimal equivalent. 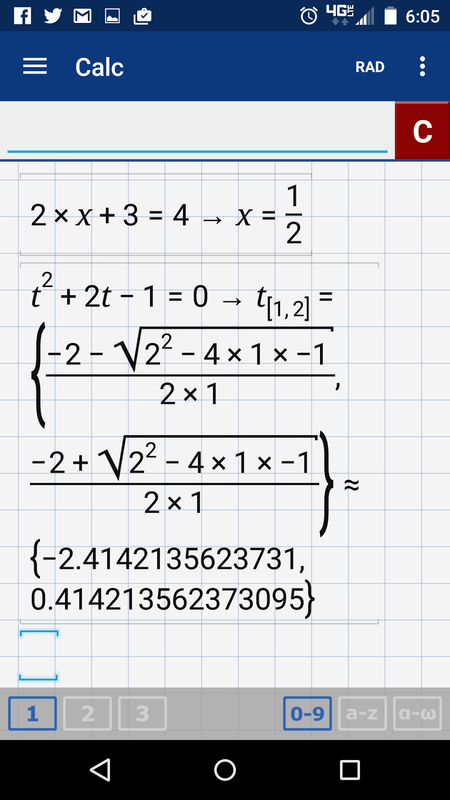 Displaying multiple forms is also present in calculations involving degrees-minutes-seconds and factoring/expanding polynomials. Just enter the calculation and the app makes the calculation for you, despite the presence of an equals key. Calculations are terminated by pressing the return key. I have to admit that this takes getting used to. Also, when entering expressions, I found it is easier to look at the entry line above the output screen rather due to the automatic calculation. Entries on the output screen are shown in textbook style. This doesn’t mean that the equals key is useless. Mathlab also solves equations and inequalities. Once a variable is solved for, the value is stored in the variable. If you want to execute a new calculation with the same variables (x, y, t, z, r, θ), press and hold the clear [C] button or start a new worksheet. 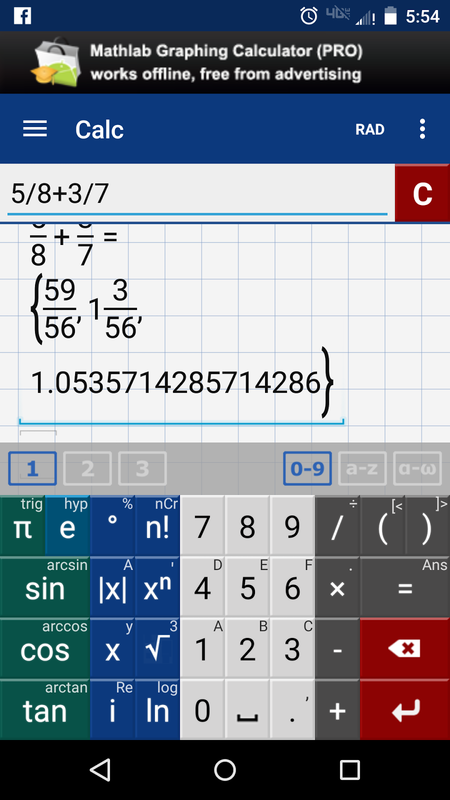 Calc also features matrices, vectors (the multiplication key holds both the dot and cross product), and full complex number support. However, the factorial function only works with integers. (You definitely can go higher than 69!). For the matrix functions norm, tr (transpose), and det (determinant), you’ll need to type them in manually. Mathlab can also convert numbers between binary, decimal, octal, and hexadecimal mode. Start binary, octal, and hexadecimal numbers with 0b, 0o, and 0x, respectively. Conversion functions include bin, dec, oct, and hex. 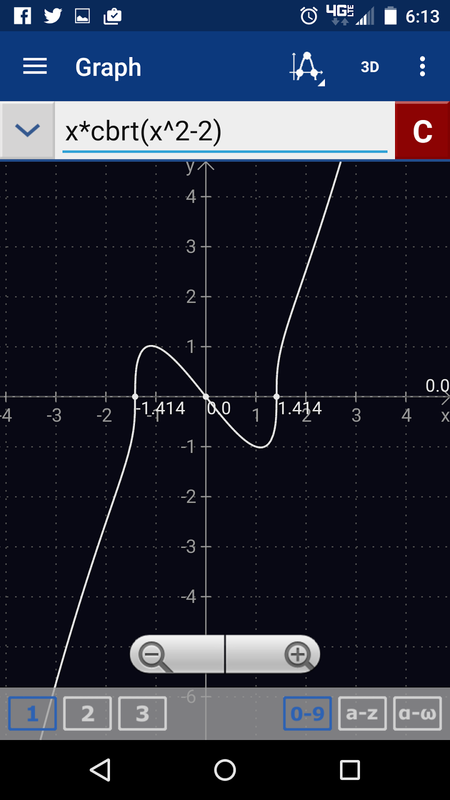 Graphing allows you to graph functions, polar equations, parametric equations, and 3D (Pro version only). 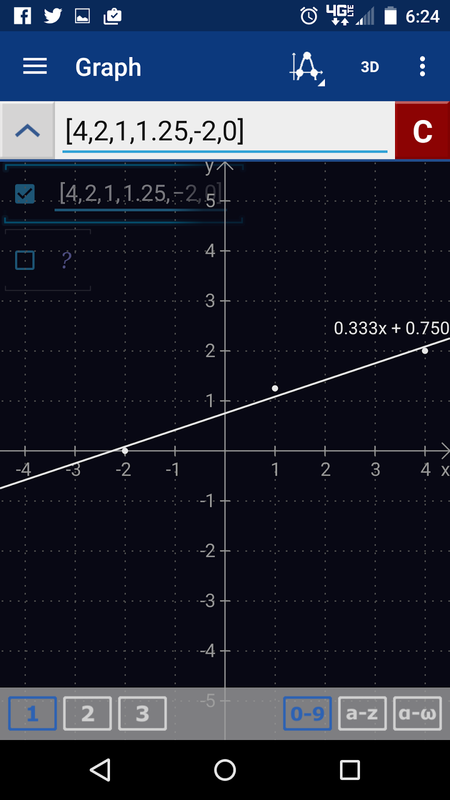 You can trace on anything that is graphed by holding down on the screen and tracing the graph with your finger. If applicable, extreme points and roots are shown. With the Calc mode, just swipe the keyboard down for more of the output screen, until you are ready to operate again. 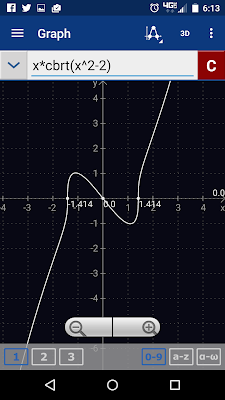 For polar equations, insert the variable θ. For parametric, two expressions will be entered. The first will be in the format x = f(t), press Enter, then enter the second in the format y = g(t). For 3D, entering equations to be graphed is simple as in 2D mode. Mathlab defaults to colorized mesh graphs, but if you want, you can turn off color and/or change 3D graphs to dots. Graph also offers inequality graphing. Unfortunately there is no shading, you get arrows that indicate which area of the graph is covered. If you enter a vector with an even number of elements, you can create a scatterplot. The vector will be in the format [x1, y1, x2, y2, …, xn, yn]. 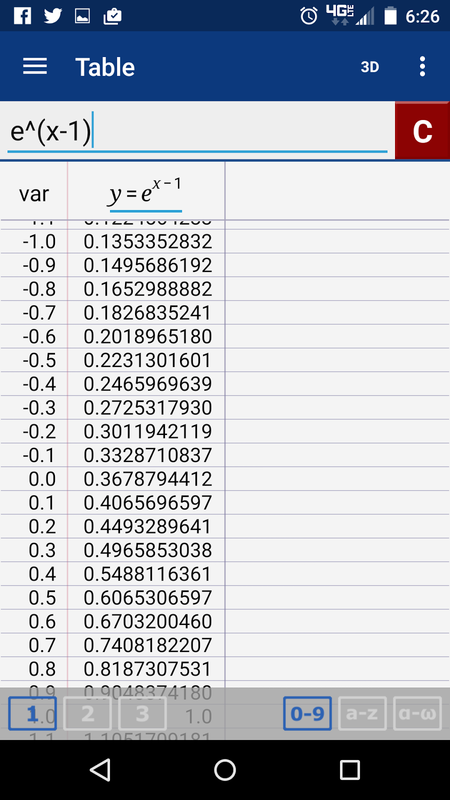 You can tap the vector on the left side of the screen below the input screen (check mark) to get a linear regression line. Again, Mathlab does an excellent job getting many functions in the little space of the phone size. I also like the ease that you can zoom and scroll graphs. The app is very responsive. 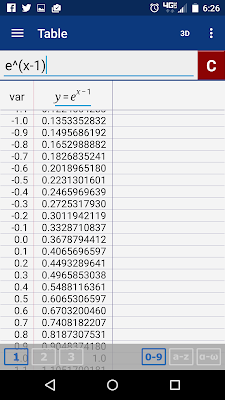 The Table function is an extension of the Graph mode. 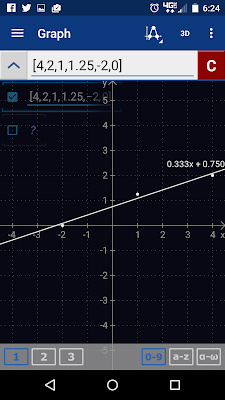 Enter your expression in Graph mode and switch to the Table to see it. 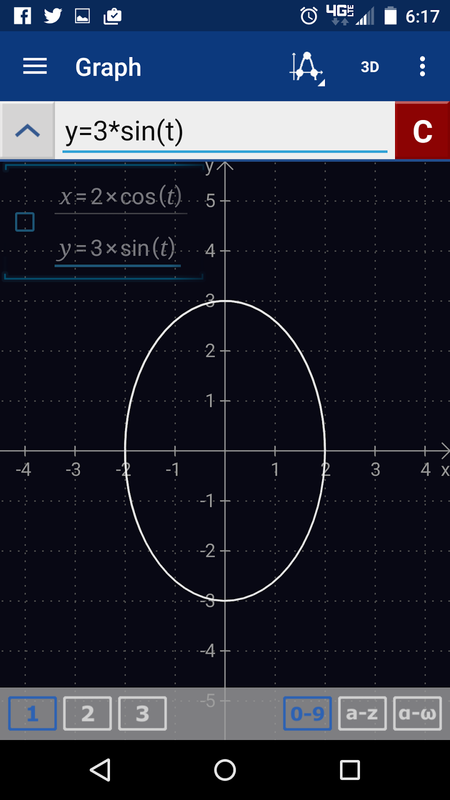 You can also enter additional expressions outside of Graph mode. The zoom and scroll also work dynamically and well. 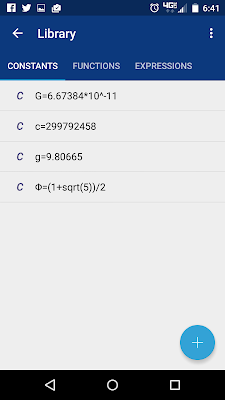 You can use the alphabetic and Greek keyboards to define constants and functions. Obviously, if you plan on using the app for an extended period of time, it pays to get the Pro version. You will need to type in all your constants, since Mathlab doesn’t provide a pre-library of constants. There are two help pages. The first comes with the app, and it is just a quick help page. You do get the full keyboard mapping on this page. The second page is through Mathlab website (help.mathlab.us for the United States site) and is very thorough. I’m impressed on how Mathlab manages to organize many functions into what looks like a minimalist (clean) keyboard. The automatic results are great and the zoom/scroll dynamics of graphs and tables are awesome. 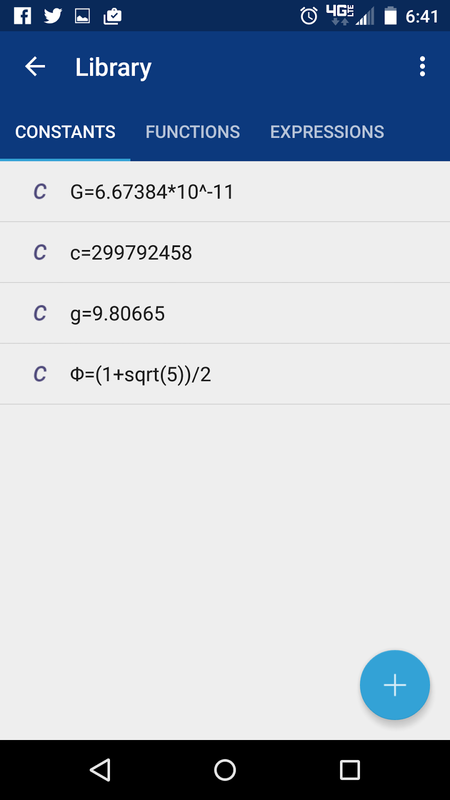 You get a lot for the Free version, but if you plan to use this app for a long period of time, I would recommend getting the full version, particularly for the ability to store constants and customized functions. This blog is property of Edward Shore. 2015.